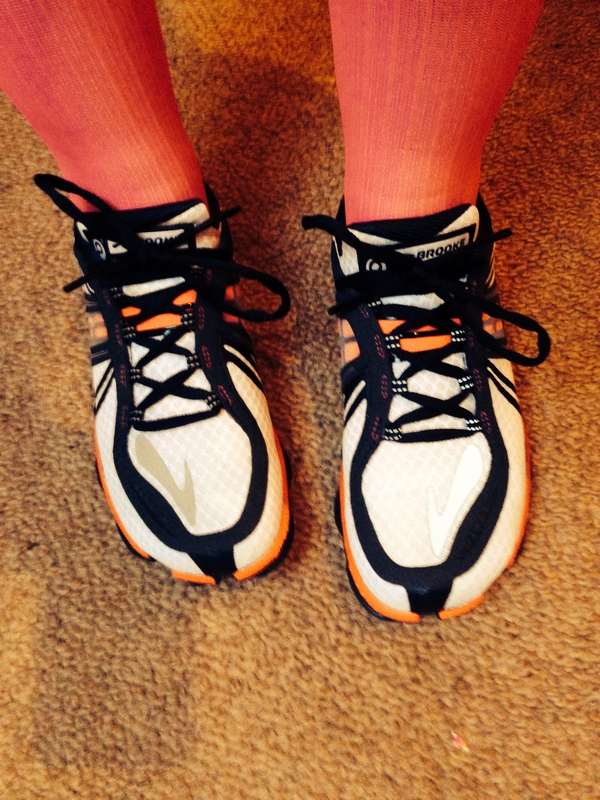 This past week I have taken part in the Brooks PureProject Try It On scheme. The idea is that participants borrow a pair of one of the new models and test them out however they wish for seven days. Let your feet sing with light-as-air design and fully loaded flex. The PureConnect 3 gives you just enough shoe to go where the turns are tight and spontaneous breakaways are encouraged. With enhanced Toe Flex, streamlined medial side design, and a slightly more rounded heel, this kick is ready to kick. 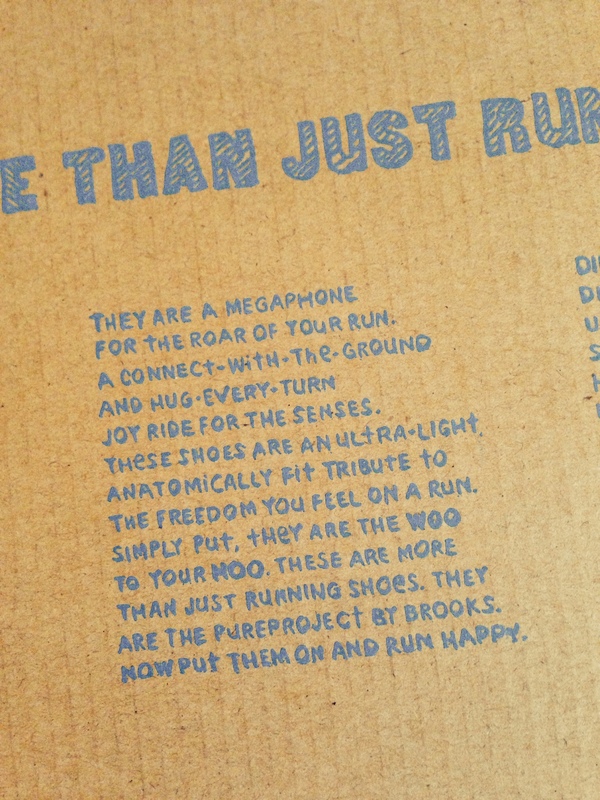 I like Brooks not only for great products but also as a brand – they are what I would call “shiny happy runner people” and focus on fun as well as function. And that sits very well with me. 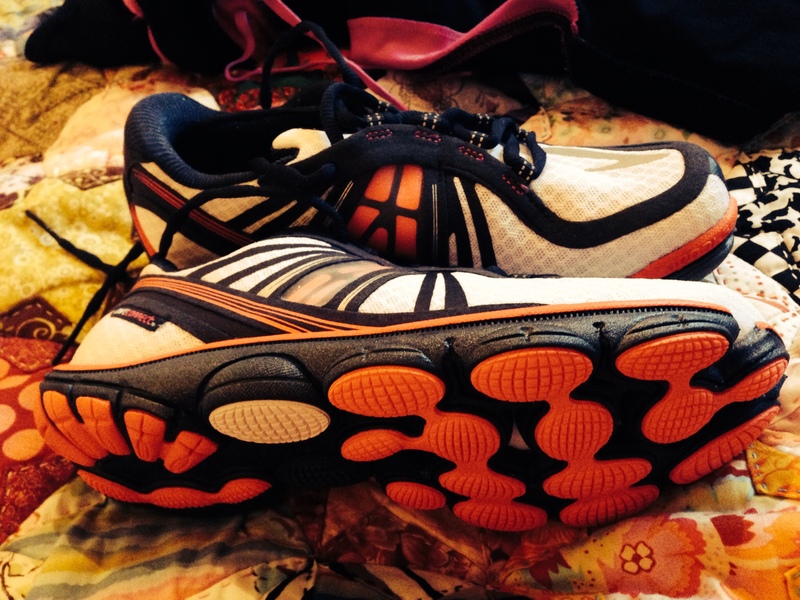 First impressions out of the box – they look good and fit well – snug but not tight. The tortilla tongue (where one side is attached to the shoe) works well for me. Just walking around the house in them it felt as though they were actively encouraging me to be on my midfoot, which, again, is ideal for me. The first run was something of a challenge as it was pretty much the end of days with the gale force winds and pelting rain. 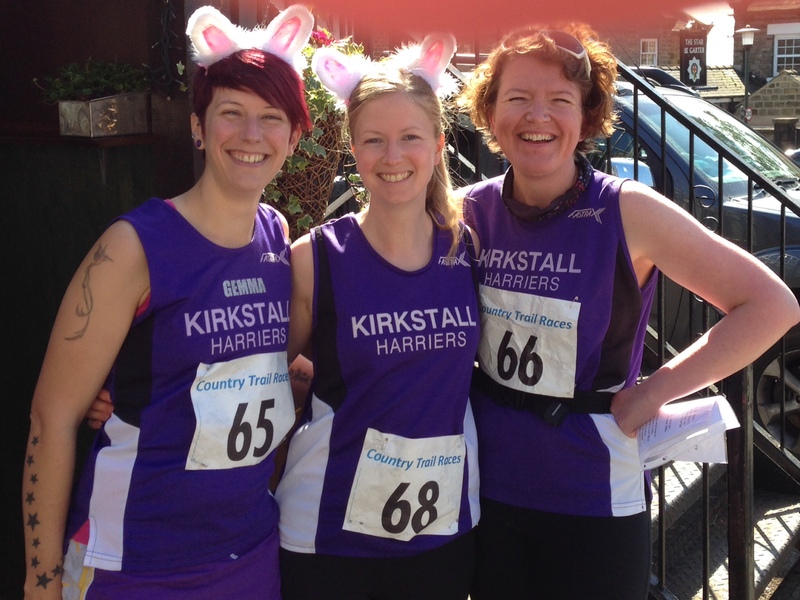 But I managed a couple of slow miles along Kirkstall Road, with a fun sprint finish. Shoes felt good, particularly when up on my toes, but I was making a right noise running in them – they’re kinda hard but flexible. I did my interval session (1/4 mile x 12 with two mins recovery in between) along the canal. It was a tough session but for the most part the shoes felt good. 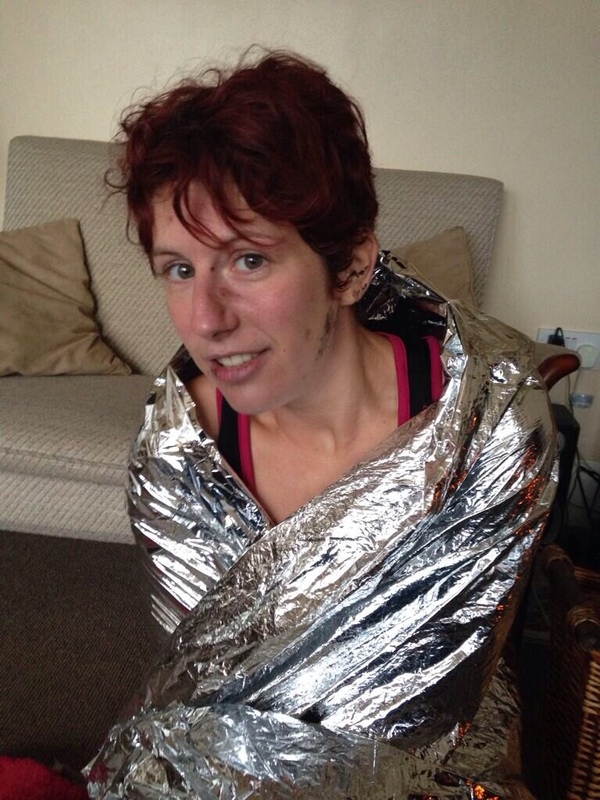 The cool down mile was a bit iffy however, as I felt as though my toes were being clamped from underneath. The toe box seems roomy enough, so I am putting it down to the odd hard sole and the toe split. Shoes felt fine. Went along the canal and had no problems with the bits of slippery Tarmac. Didn’t feel as clod-hoppy as previously. Ran the long way back from town and got a few quick miles in. Felt like I was flying along Kirkstall Road. Toes on left foot started to feel slightly odd right at the end – that clamped feeling again from underneath. Shoes feel better the more I get up on my toes. 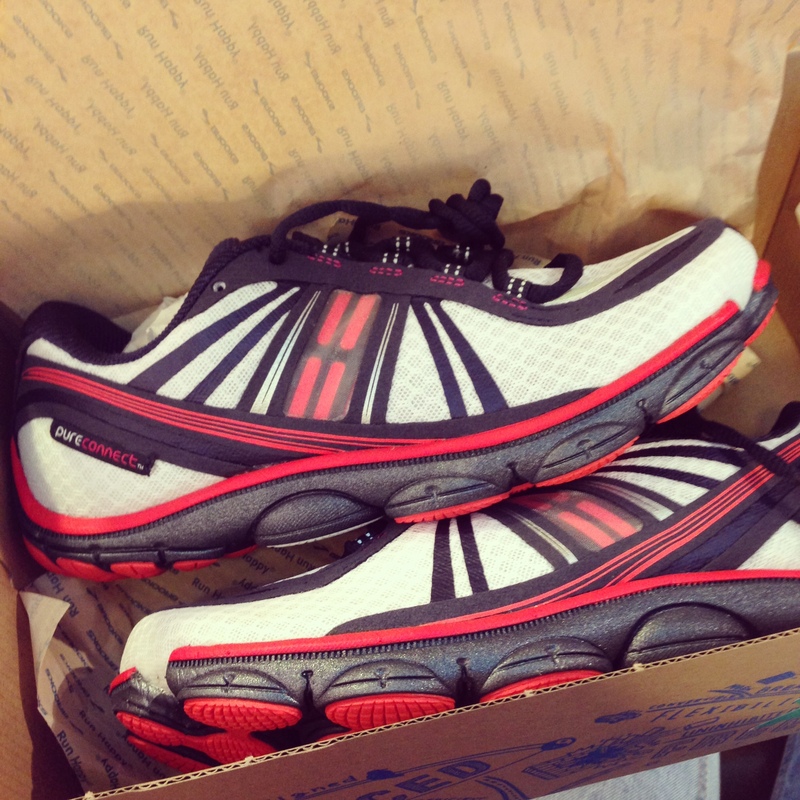 I met with Brooks rep Chris at Up & Running on Boar Lane to return the shoes and give my feedback. We had a good chat about this model and the others in the PureProject range. He was very knowledgeable, and not only about Brooks shoes but also how they compare to other brands I wear. On top of that he was friendly, enthusiastic and showed a genuine passion for running, so actually I felt like I was making a friend rather than being sold a pair of shoes (another massive thumbs-up to Brooks for this). We came to the conclusion that the toe split feature in the sole of the PureConnect was probably the reason for the odd feeling in my toes. It could be that my digits and the grooves just didn’t line up as my feet moved and swelled slightly. In essence, I thought the shoes were great in terms of design, lightness and how they made me feel light and on my toes when I ran, but they weren’t quite right for me. I then tried out the PureDrift on the treadmill, which are an even more minimalist shoe and have a zero drop when you remove the insole. My size wasn’t in stock so I went a half size smaller, which meant they were a little snug on the heel, but otherwise they felt great. The video showed me right up on my forefoot. 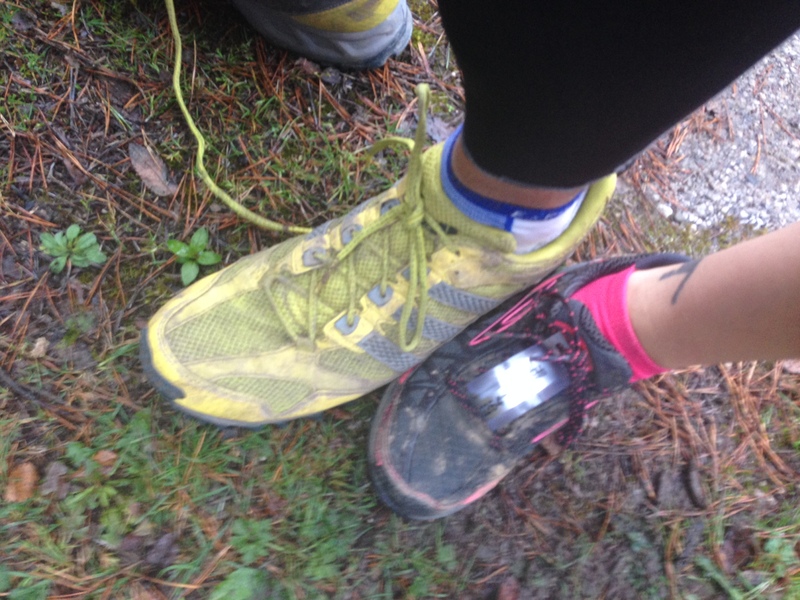 I really enjoyed the experience and was rewarded with a £25 voucher off a pair of PureProject shoes. Whether I will buy some soon is still debatable – I do have many pairs of shoes already after all – but they will be on my list for the future. Big thanks to Brooks for the opportunity, and for being awesome! 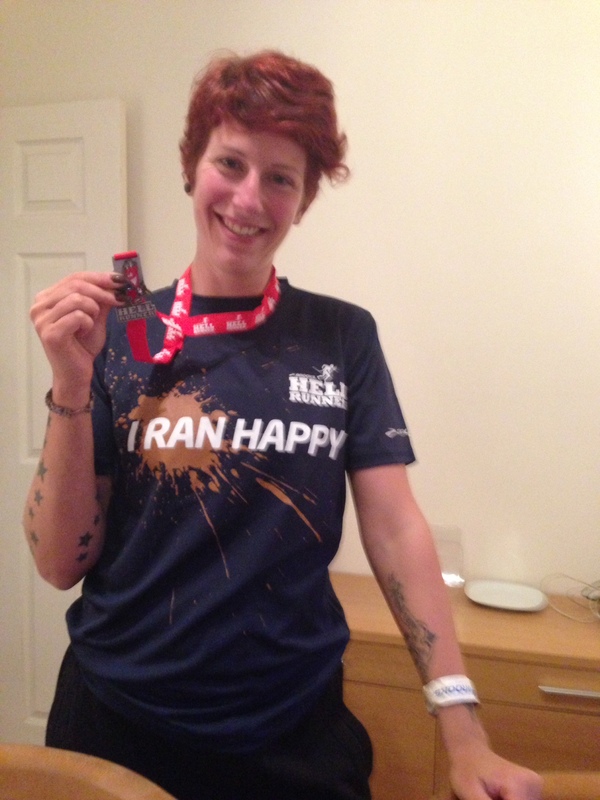 On Saturday I took part in the HellRunner Hell Up North race in Delamere Forest as part of the Brooks team. It was a competition I won – the lovely Brooks people gave me some ace kit to wear, including very good trail shoes, and free entry to the race. I also had to wear a head cam on the day to record everything. 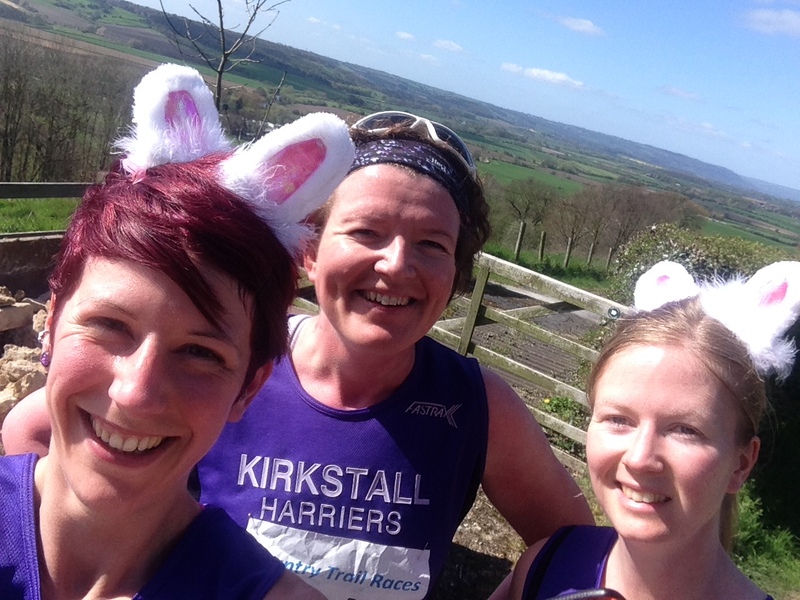 Luckily I made friends with another competition winner via Twitter who also happens to be from Leeds, and two of my friends from running club signed up too, so we travelled down together. Brooks HellRunner offers trail running at its toughest and most enjoyable. 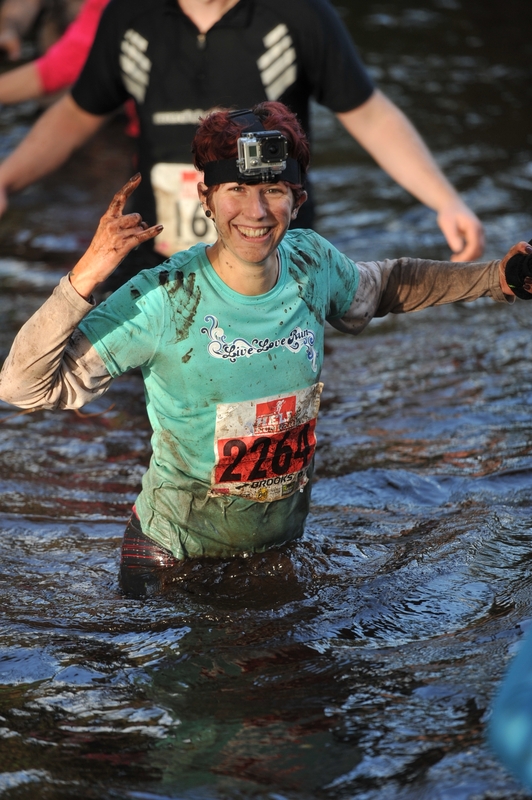 10 -12 miles of challenging off-road running… tough, twisting trails… including the famed Hills of Hell and the Bog of Doom! The Finish will bring redemption… but only to successful HellRunners. That’s what it says about the race on the website. 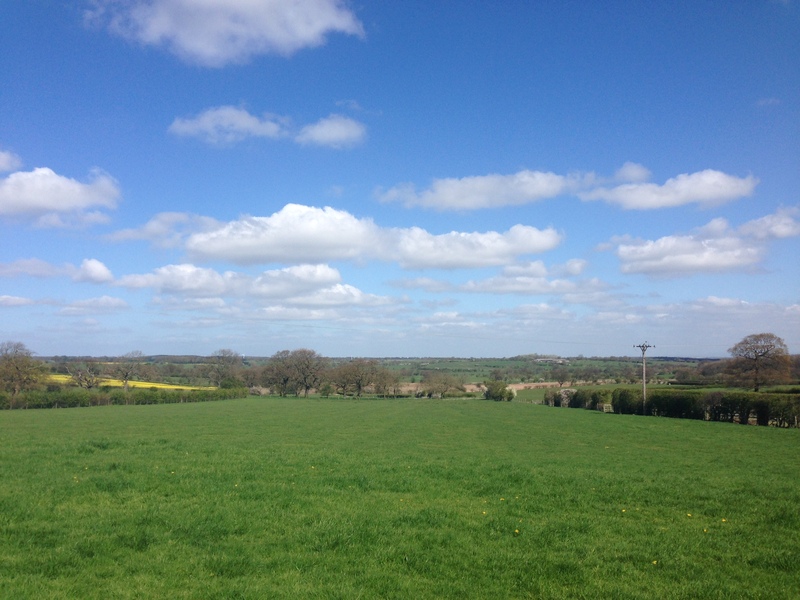 I must admit to a little apprehension – until the previous weekend it had been a while since I ran that distance, and it seemed an awful long way. Especially as with these types of races there are no mile markers and not really any way to escape! 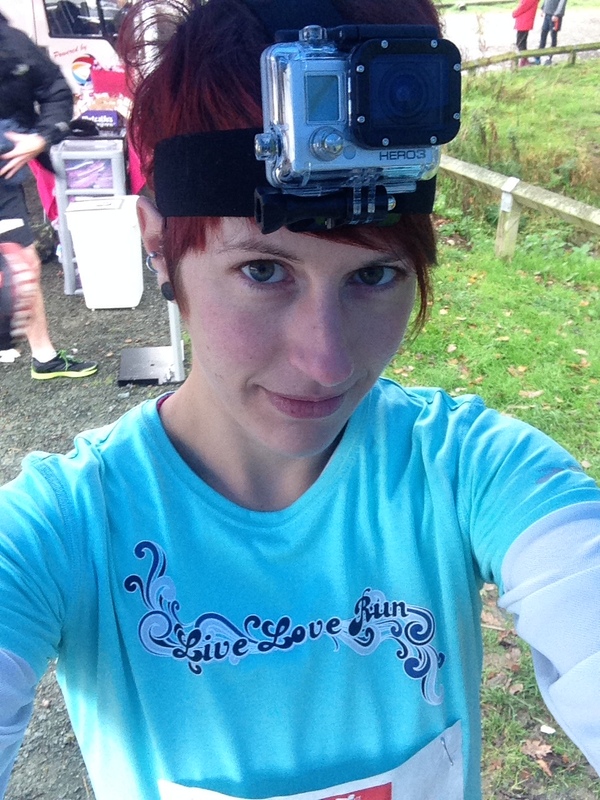 We got to Delamere and met with the Brooks people for some filming and to get GoPros fitted. The race started with a killer hill loop, which was slow going but offered some very pretty views. Then we headed into the forest to seek out some mud. And there was plenty of it. I loved tramping through the really sticky stuff, wading through streams and muddy bogs, and clambering up hills (with the odd shove from behind to get me going). 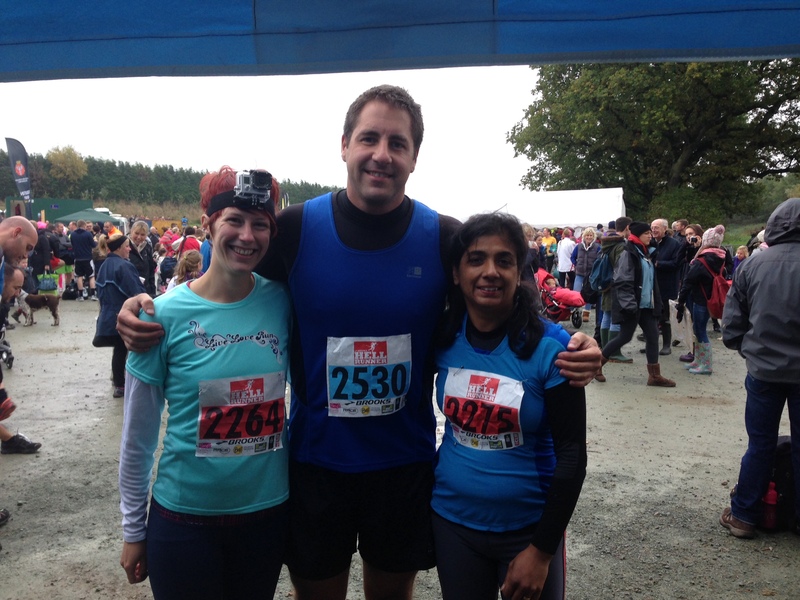 It was slow going but good fun, and Delamere is the perfect setting for a trail race. But there was one bit I really did not like and it nearly finished me off. The lake (of Lucifer, or something) was a seemingly never-ending body of water that we simply had to walk through. Sounds straightforward enough, but after queuing for a good 20 minutes to even get in it, and then being plunged waist-deep into freezing cold water, I was far too cold to function anywhere near normally. At several points I was close to tears and I just wanted it to be over. Some kind people did help me out and warn me about the deep bits, and I got through eventually, but it really was hell. After that there were more muddy trails, but even though I had already forgotten much of the pain I was so cold I couldn’t muster any more enthusiasm. I plodded on, picking up a pair of socks in the Heaven from Hell tent (there were angel cheerleaders) and thinking about a hot brew at the end. As one parting dig though the course finally finished me off in the very last boggy bit. I was stepping through slowly and crashed shin-first into a submerged log. There was a lot of swearing. I think this photo was taken just before that happened. With the end in sight I ran like my life depended on it. The whole thing had taken me 3:37:49. According to the official result page the course was 10miles, but there is talk that the first hill loop was not included and we weren’t timed until after that part. That was about another 1.5miles. With a hose down by the fire cadets and a cup of tea and some chocolate pretzels (my absolute favourite) from the Brooks people I managed to stay upright. But by the time we got back to my dad’s I was a little worse for wear. A hot shower and a big bowl of soup with crusty bread sorted me out, although the bumps and bruises on the shins were already starting to take their toll. Overall I did enjoy the race. 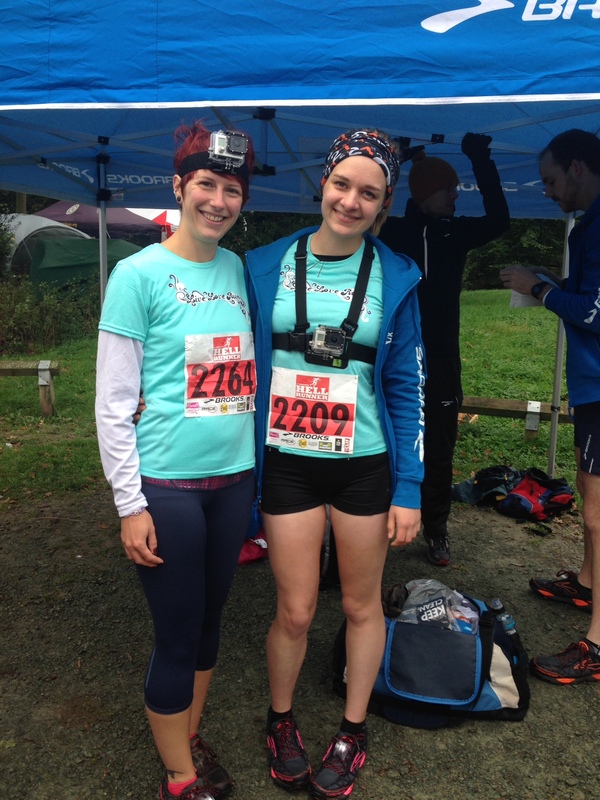 In essence it was just a long, beautiful trail race, with the odd annoying watery part thrown in to piss me off. 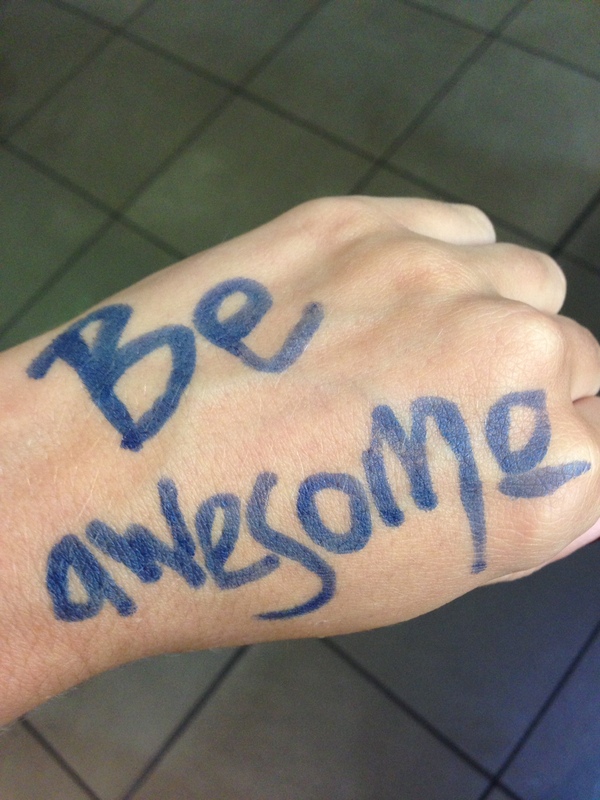 But one thing I did notice was the lack of camaraderie and support among runners. There were very few people willing to help me when I was so obviously in distress in the lake. At Total Warrior or Spartan Sprint someone would simply have picked me up and carried me through. At HellRunner I just got sworn at. I noticed this lack of team mentality the whole way round – there was very little chatting, cajoling, joking, supporting among people. And that’s a real shame, as when I try to persuade people to do these things the point I always make is that total strangers will always be there to help. Not so at Hell Up North. It was a fun, and very tiring, day out. And we got a fab tee, medal and goody bag. Thanks again to the Brooks people. I’ll post again when the video footage is released.